Everyone makes mistakes, but when it comes to Event Management, even the smallest slip-up or misjudgement can mean thousands in lost revenue. Here are five tips for ensuring the success of your big event. Although it may seem obvious, the most diligent experience organisers will always make an effort to check in with their attendees at the beginning, middle and end of their day. Using voting keypads, perhaps during a breakout survey, is an easy way to do this, and a CLiKAPAD system will quickly and accurately record data from hundreds of participants at a time. Keep your satisfaction survey short and sweet, with as few questions as possible and utilising numerical ratings to capture a spectrum of audience responses. Extend your guests the same courtesies you would enjoy, say, if you were staying at a hotel. That’s to say, a comfortable chair, free Wi-Fi and a few free refreshments. 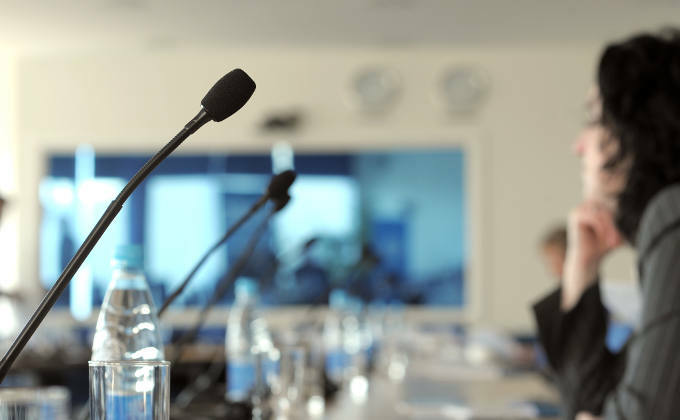 Even if your attendees have turned up to see a particular speaker, or only get involved with a certain aspect of the event, it doesn’t let you off the hook of being an attentive host. The first people who got excited about your event, and didn’t think twice about attending? They are your brand’s biggest fans, and offer a huge opportunity for getting the word about elsewhere. Make the most of these loyal supporters and encourage them to advocate your event to their friends and business partners. One way to do this is to incentivise them to spread the message, rewarding them every time someone signs up as a result of their encouragement. Referral schemes are a great way of boosting your numbers without really having to do much work. Just because your event line-up went down a storm last year doesn’t give you a pass to wheel out the same routine again and again. In fact, it’s more likely to damage the excellent relationship you have with your most loyal following, as they’ll get bored faster than your newer faces. Bringing new ideas and stations for your guests to interact with will not only bring much greater value to your attendees, but also remind them that your company is forward-thinking, rather than stuck in the past. A risk assessment should be part of your planning process from early on, including any likely or unlikely events that might derail the success of your event. While it’s important to stay optimistic and focused on making the day as good as possible, don’t ignore potential threats. Keep tabs on stressed links in your delivery chain and always have a contingency. For more information about planning an event with a CLiKAPAD Audience Response System, give our team a call on 03333 448 550 or send us a message via our Contact Us page and we’ll get in touch as soon as possible.